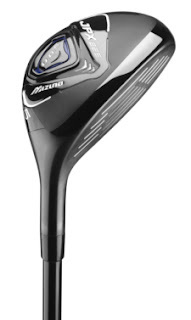 Norcross, GA (November 15, 2011) – Mizuno, the industry leader in iron technology and development, today announced the launch of its revolutionary new iron set that offers serious golfers the most forgiving and playable MP irons in Mizuno’s storied history, the MP-H4’s. Utilizing a seamless blend of hollow hybrid long irons and half-cavity scoring irons, Mizuno’s patented Grain Flow Forging process provides players with a soft, solid, consistent feel throughout the set. They also announced the addition of the JPX-825 lineup of woods to the already popular JPX-825 iron family. 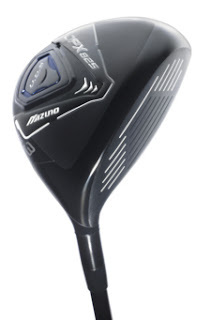 Created with balanced performance, extreme distance and uncompromised forgiveness in mind, Mizuno’s new family includes the JPX-825 Driver, JPX-825 Fairway Wood and JPX-825 Hybrid. 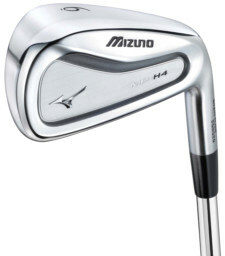 Through extensive, advanced computer simulations, Mizuno engineers created the Grain Flow Forged MP-H4 iron set with three different designs, maximizing performance in each aspect of iron play. The two-through-four irons deliver the legal limit of COR and a deep COG which translates into long, consistent distance with an easy, high launch. The five-through-seven hollow mid-irons offer a medium level COR and very large ‘sweet spot’ for controlled distance and forgiveness. A compact half-cavity design in the eight iron through pitching wedge allows players the precision accuracy and trajectory control needed to pin seek with scoring irons. The three unique head constructions that make up the MP-H4 set are seamlessly blended for feel, trajectory and ball control. Scientifically designed to optimize sound and feel at impact, the MP-H4’s utilize Mizuno’s Harmonic Impact Technology (H.I.T.) paired with Modal Analysis software to deliver feel that Mizuno players have grown to love. Mizuno also incorporated a strategically placed trailing edge bevel that allows for a wider sole and deeper COG, providing ease of launch and forgiveness when striking the ball. Additionally, the MP-H4 delivers Tour confirmed turf interaction for ball striking ability from all types of lies, and modified U-grooves that produce an optimal spin rate for ideal trajectory. 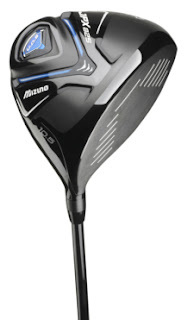 The new JPX-825 Driver features a sleek head design with a fresh, aggressive look. Appealing to a large audience of players, the new driver delivers the highest ball speeds possible while achieving an easy launch and low spin for long drives that will find the center of the fairway more often. Mid to High handicap players will benefit from increased confidence over the ball thanks to the square face angle and deeper head design the five piece forged titanium head of the JPX-825 provides. Through a new chemical etching process, the crown of the JPX-825 Driver is ultra-thin, lowering the center of gravity (COG) placement, to produce an ideal launch and spin combination while the driver’s multi-thickness CORTECH face helps players achieve extreme ball speeds. Two internal Ultimate Dynamic Stability (U.D.S.) 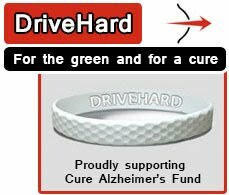 weights have been strategically placed low and deep in the head of the driver, offering increased stability to keep drives straighter and longer, even on mishits. Designed with playability and forgiveness at the forefront, the Mizuno JPX-825 Fairway Woods serve as a balanced performance package. With a focus on delivering high ball speeds following an easy launch, new design technologies were incorporated to deliver consistent distance. The JPX-825 Fairway Woods pair a square face angle with a finely tuned internal Ultimate Dynamic Stability (U.D.S.) weighting, offering players stability, even on off-center strikes. An exotic “L” Shaped Maraging Multi-thickness face design creates a trampoline effect that increases COR and maximizes distance. Paired with a thin crown and thick soled stainless steel body, the “L” shape helps golfers achieve easy to launch and control, while also providing steady distance. A newly designed Speed Bevel Sole delivers ideal turf interaction, while Mizuno’s innovative Harmonic Impact Technology (H.I.T.) was also incorporated along with PGA Tour feedback to help ensure the JPX-825 Fairway Woods deliver a solid and powerful sound at impact. 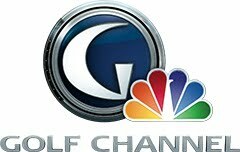 “We’re pleased to be able to provide golfers with a wood family that will deliver long, controllable distance and a solid sound at impact,” said Lyons. “We feel strongly that the new JPX-825 Fairway Woods will appeal to a broad audience with its fresh, aggressive looks and superior performance.” said Lyons. 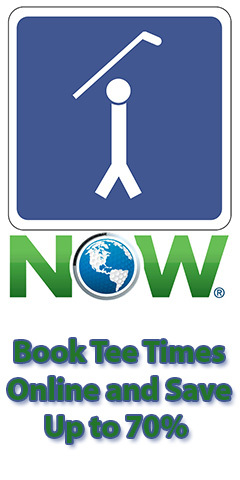 easy launch and ease of play from all lies, ideal for players of all skill levels. Pairing together a square face angle, greater foot print and newly designed internal weighting, the JPX-825s are easy to use and deliver high arching golf shots that land softly. A new, oversized head shape, along with the “L” Shaped Maraging Multi-thickness face design, creates a set of hybrids that provide inspired confidence at address. The pairing of a thin crown and think soled Stainless Steel body create a golf club that launches high, flies straight , delivers consistent distance and lands with a steep angle to hold greens. The JPX-825 Hybrid also features the same Speed Bevel Sole design and (H.I.T.) as the JPX-825 Fairway Woods for ideal turf interaction and solid impact sound. 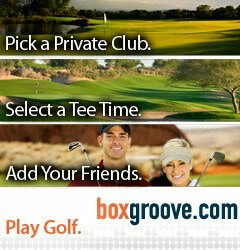 Thanks for the feedback, i've posted your Golf Clubs idea on our suggestion box.